Established in Mid Devon for nearly 50 years, Parkins and MST Industrial Supplies employ over 80 staff. With a £12million turnover, their reputation has been built on being Competitive, Knowledgeable and Reliable. Parkins required a reliable, and preferably local, company to create their first new catalogue in more than 20 years. This challenging project required close collaboration with the client. With no existing catalogue, it was necessary to piece together a new product database and catalogue numbering system, before turning these into spreadsheets. This information, along with multiple product charts, thousands of processed images, adverts and additional company information, was then laid out in colour coded catalogue sections. Following extensive proofing, the many pages were then collated and supplied, ready for printing. 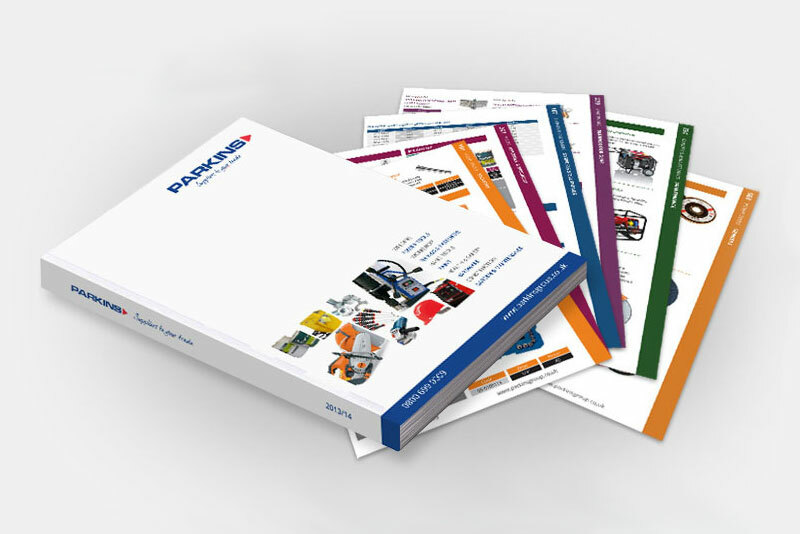 The final 350 page glossy catalogue features over 4000 separate products and is available in A4 and A5 sizes.